The small luxury hotel, Porto Mykonos, boasts the most ideal location in Mykonos town overlooking the vivid pace of the Port and the sparkling colors of the sea. In Harmony Boutique Hotel, everything is harmoniously bound together, reflecting the wisdom and prowess of the old master builders who wanted the cube-like, snow-white houses to be small and functional. 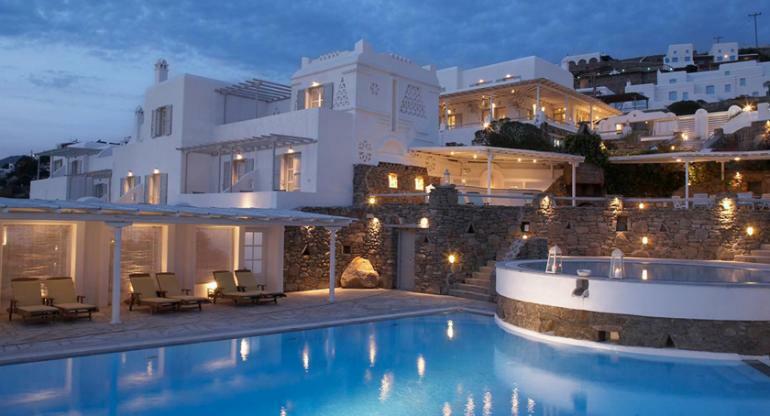 Harmony Boutique Hotel, the first Luxury Boutique Hotel in Mykonos by the sea, on the old port of Mykonos. Our hotel is a typical example of local folk architecture - whitewashed cube-like houses, pure lines and rambling alleys - which has inspired dozens of architects around the world.